Properly greasing the muffin pan before baking will ensure that you can easily remove the finished muffins. There are many options for greasing muffin pans, including vegetable oil sprays, butter, shortening, clarified butter and professional baking grease. If you want to avoid greasing the muffin pan, paper or aluminum foil wrappers provide a great alternative. 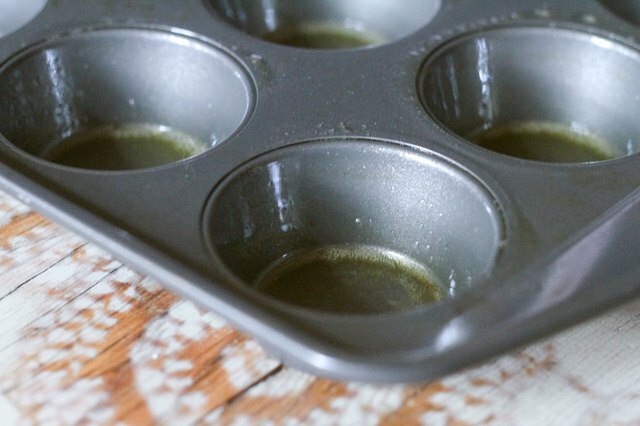 Vegetable oil spray is the fastest and easiest way to grease muffin pans. 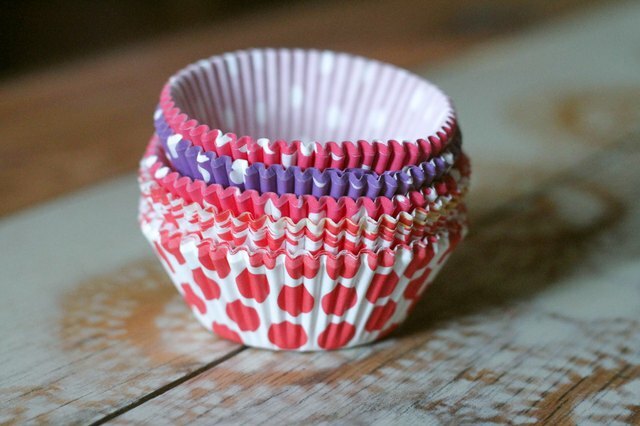 It has fewer calories than most other methods, making it ideal for low-fat or healthy muffins. Make sure to spray the entire pan, including the sides of each muffin hole, to avoid stuck muffins. Do not use vegetable oil spray on non-stick pans. 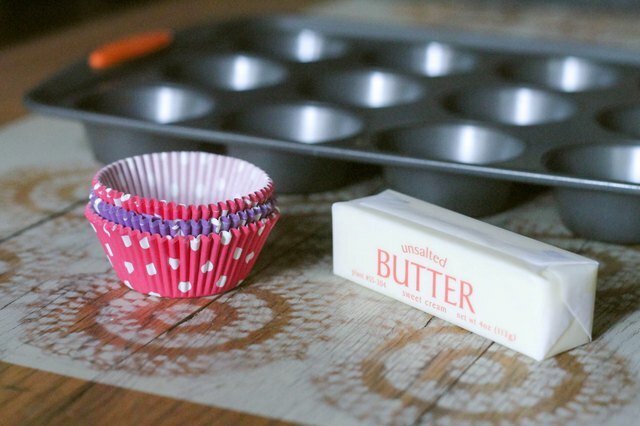 Butter and shortening are also great options for greasing muffin pans—and can be applied with a folded paper towel or pastry brush. Greasing with butter may slightly affect the taste of the muffins, but shortening leaves no taste. 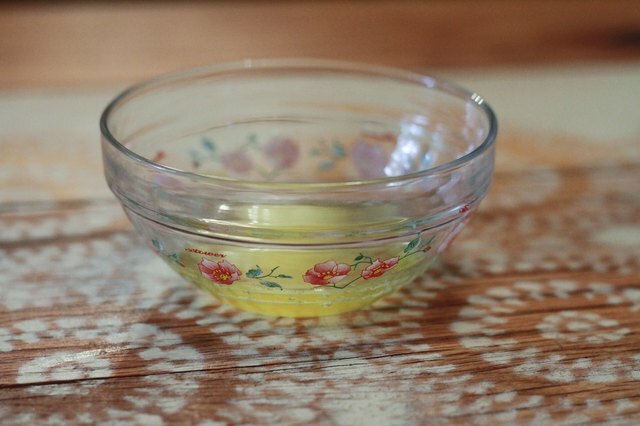 Clarified butter is an alternative option for greasing muffin pans. Clarified butter is butter without the milk solids, which gives it a higher melting point. 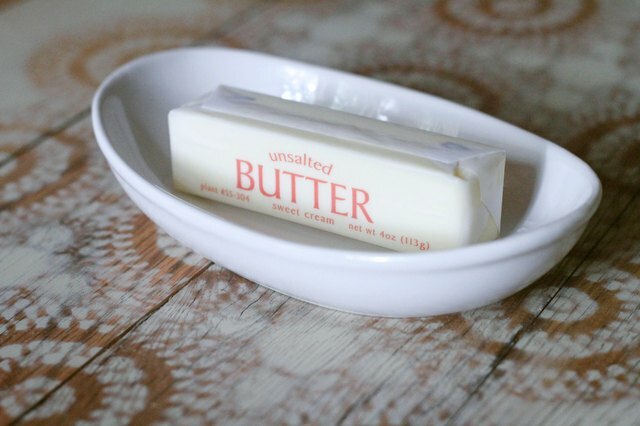 Butter can be clarified by melting it so that the milk solids separate from the fat. The clear liquid on top is clarified butter. Professional baking grease is a final greasing option that’s ideal for people making many batches of muffins. 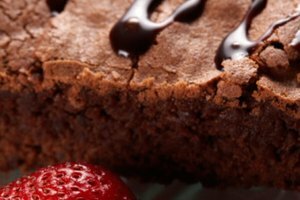 Professional baking grease is usually sold in cake supply stores and is also widely available online. 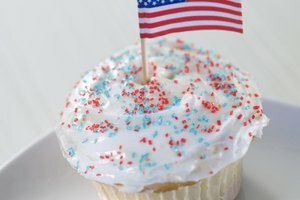 It’s also easy to create your own baking grease by mixing equal parts of Crisco shortening, flour and oil in a mixer until light and fluffy. 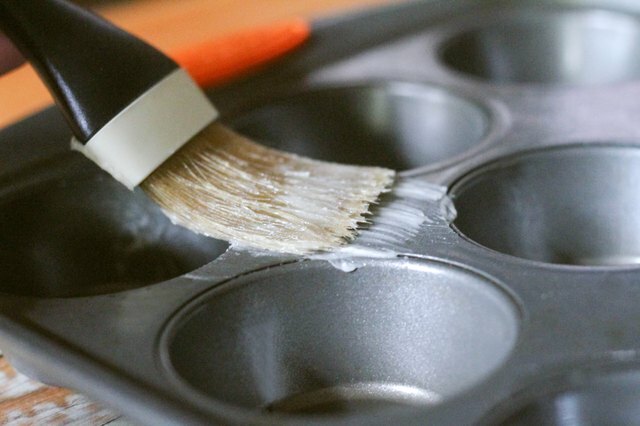 Use a paper towel or pastry brush to apply the baking grease to the pan. 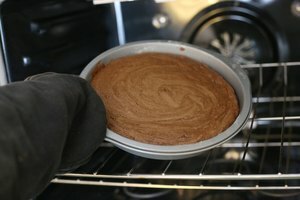 Extra baking grease should be refrigerated in an airtight container. Paper or aluminum foil wrappers are a great alternative to greasing muffin pans, making baking and cleanup easier. Paper or aluminum foil wrappers are inexpensive, easy to use and come in many fun and festive colors and patterns. Grease muffin pans before mixing the batter. Over mixing batter or letting muffin batter sit for too long can affect the leavening. Allow muffins at least 10 minutes to cool before removing from the muffin pan. Removing muffins too early may cause them to break or crumble. If the muffins stick to the bottom of the muffin pan after baking, place the hot muffin pan on a wet towel for two minutes. 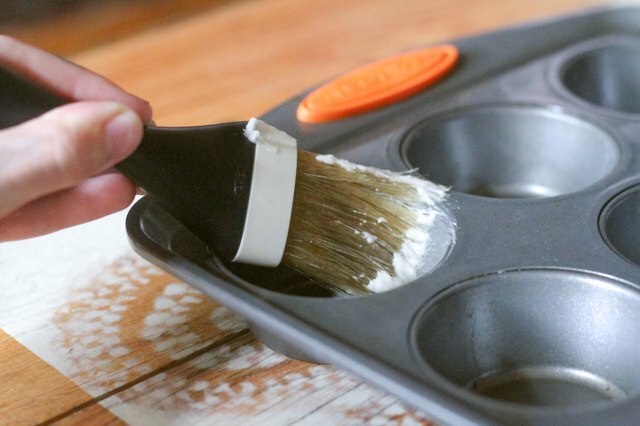 Greasing the top of the muffin pan can make cleaning easier in case the batter drips or the muffins expand while baking.